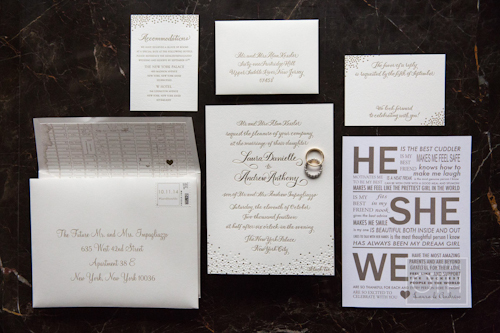 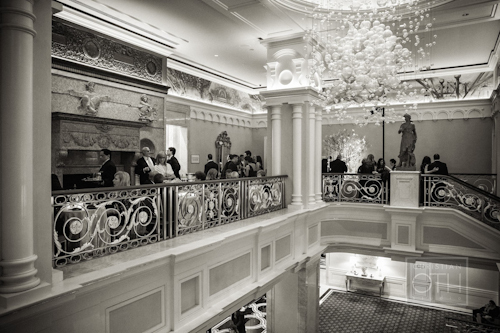 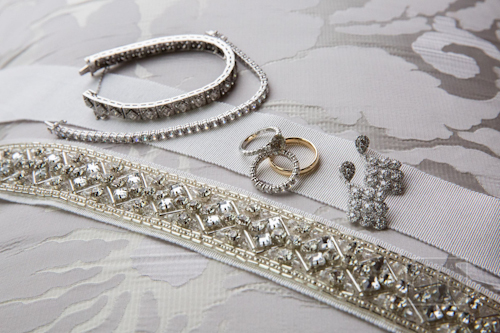 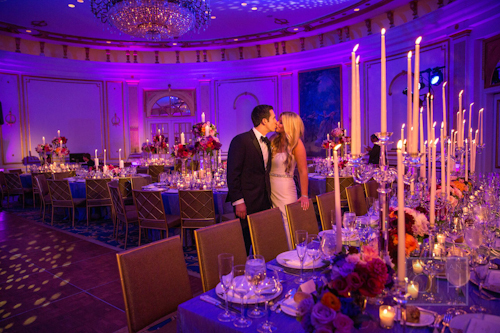 Laura found in the New York Palace the perfect combination of classic New York city charm and old world romanticism. 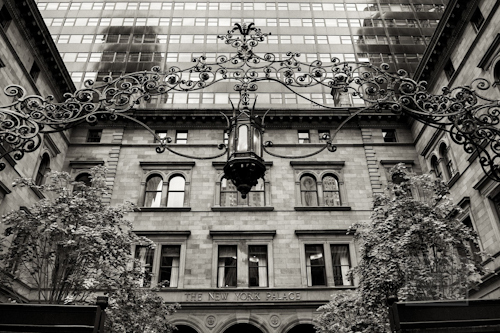 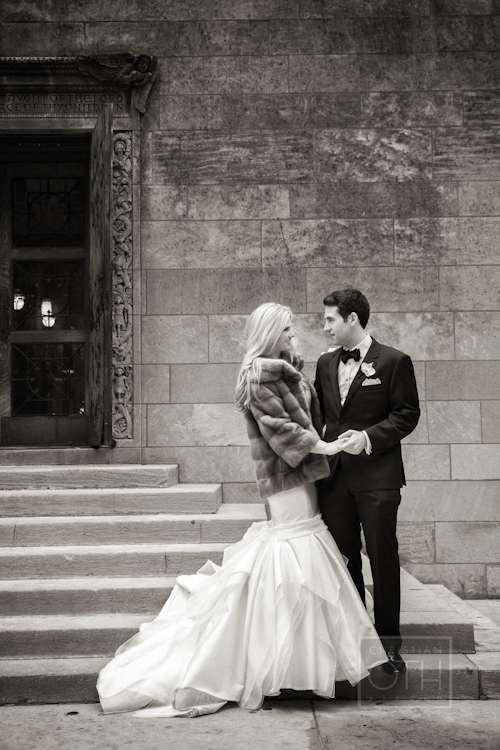 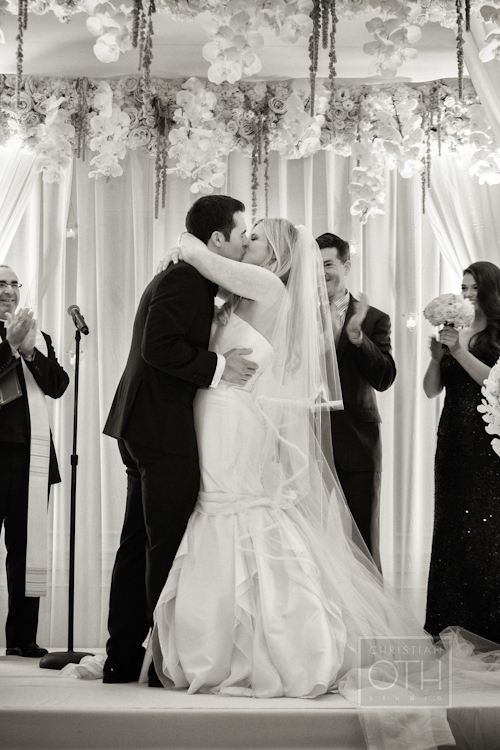 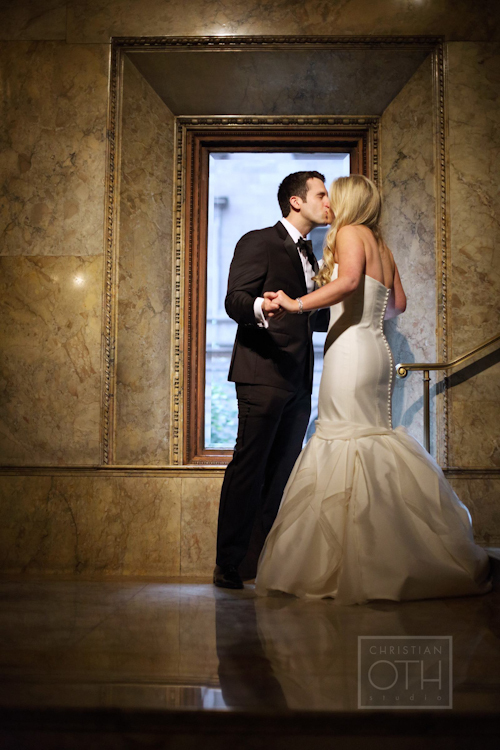 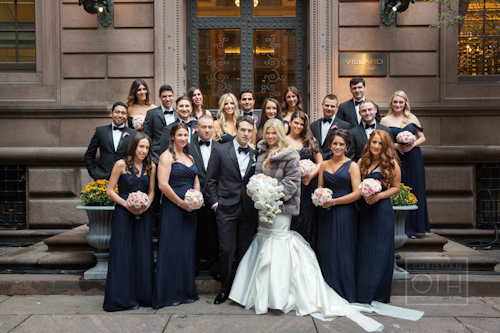 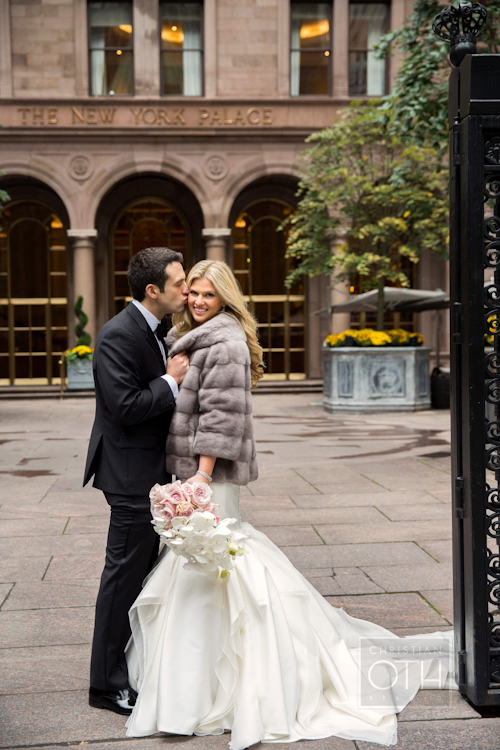 On a crisp fall day, she married her love Andrew at this Manhattan gem. 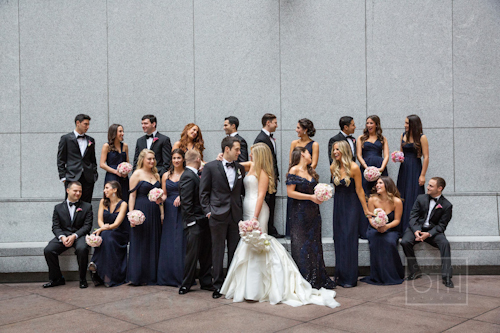 She looked so beautiful in her Carolina Herrera gown, with a simple sleek bodice, which flowed down into soft romantic layers. 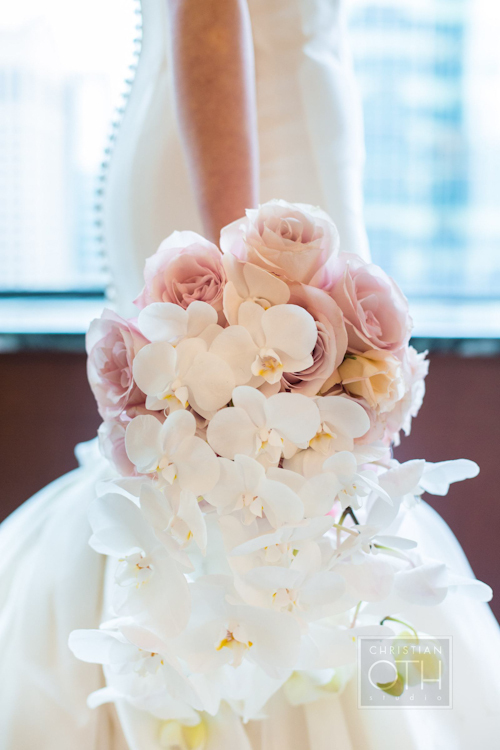 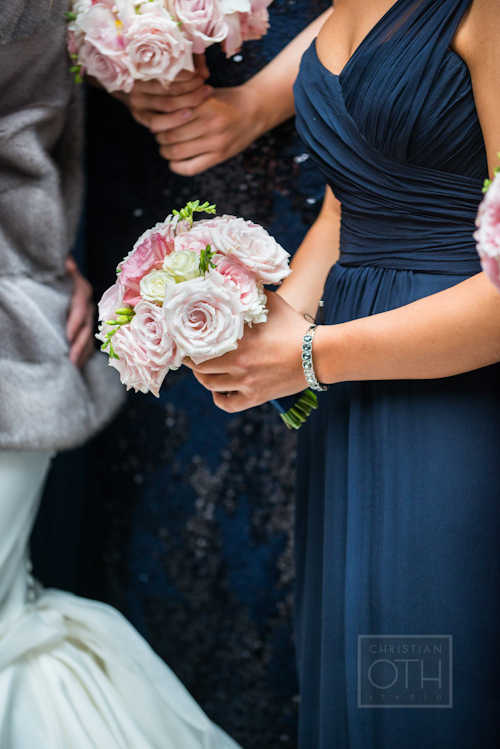 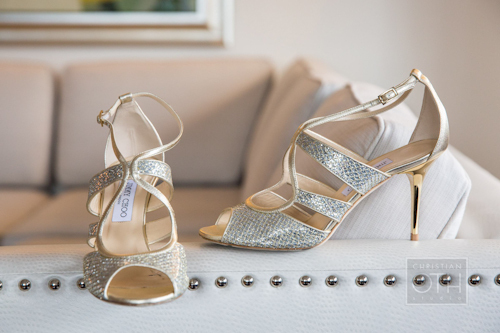 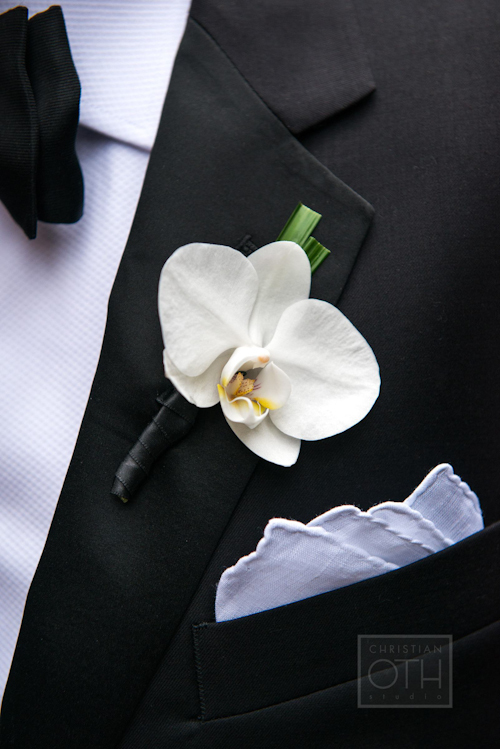 Paired with her silver Jimmy Choos, and an orchid and rose cascade bouquet, she took his breath away. 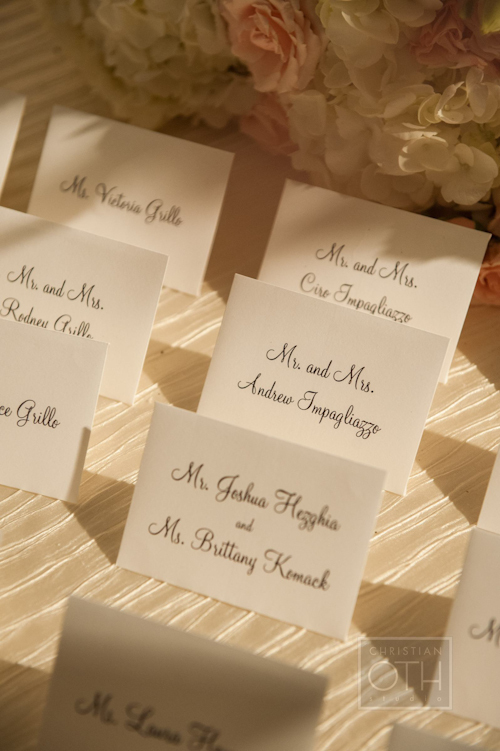 Their reception was such glamorous elegance. 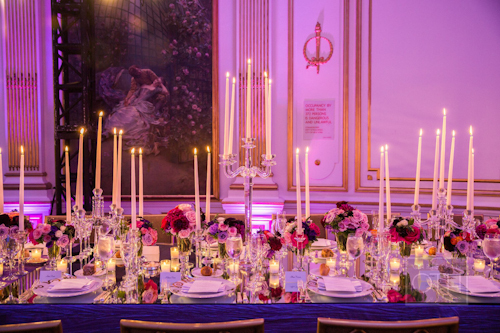 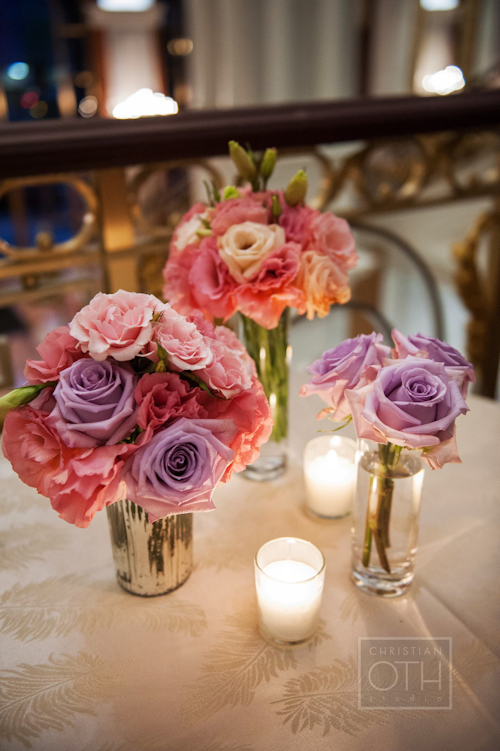 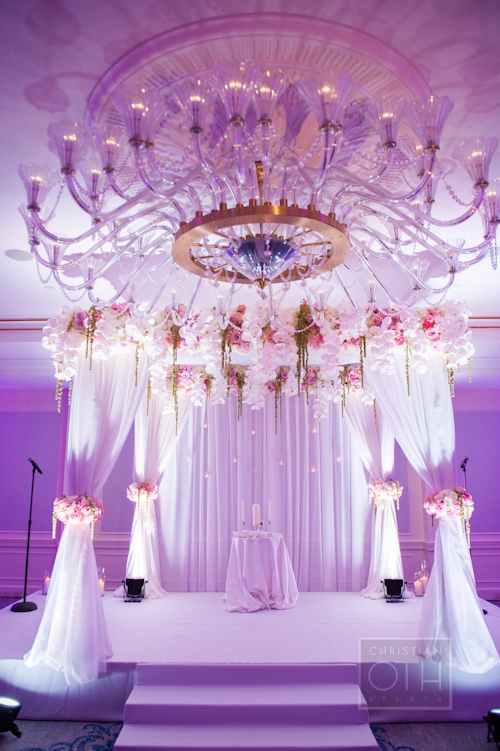 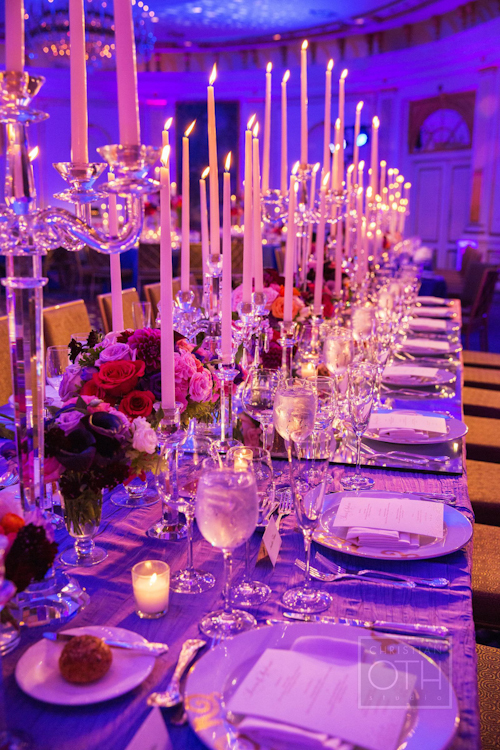 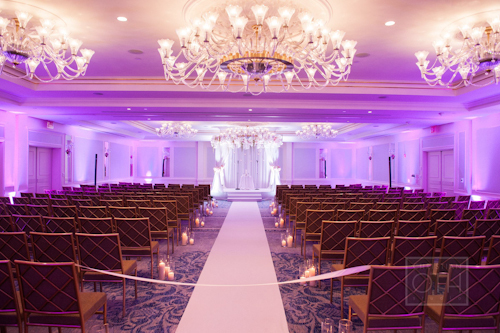 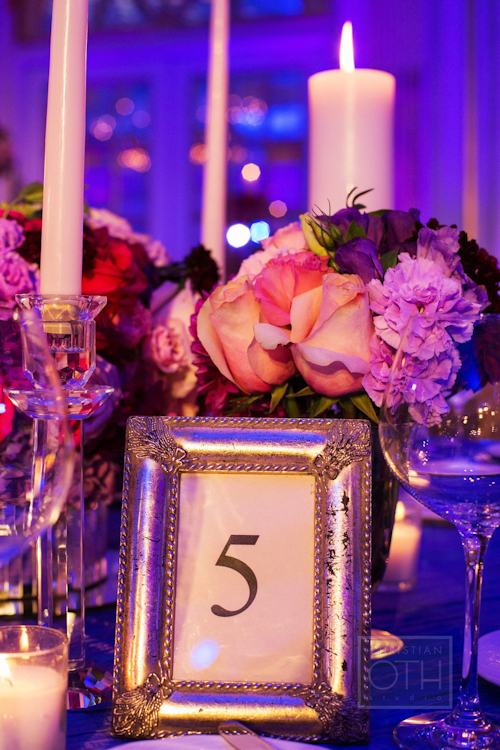 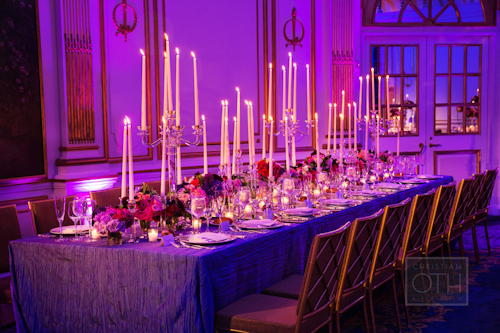 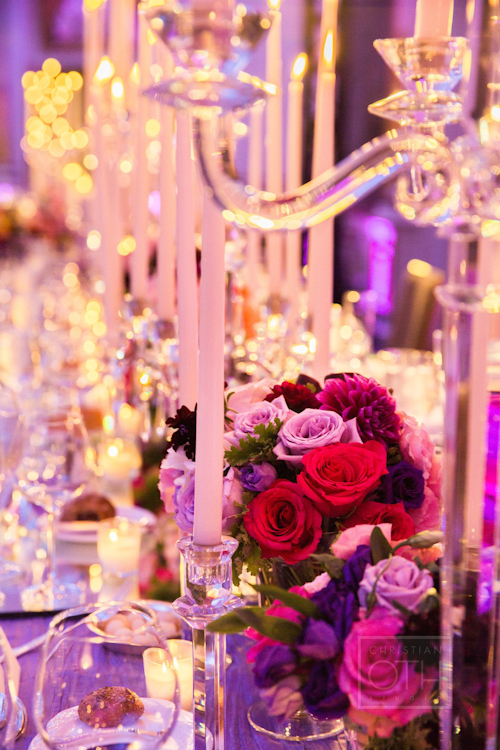 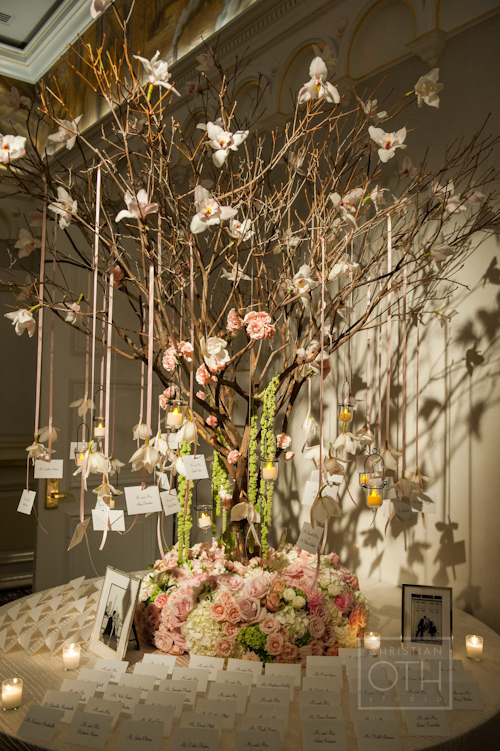 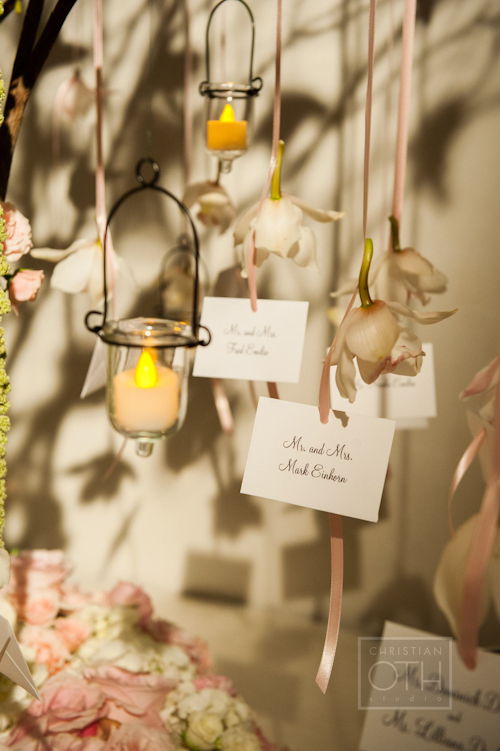 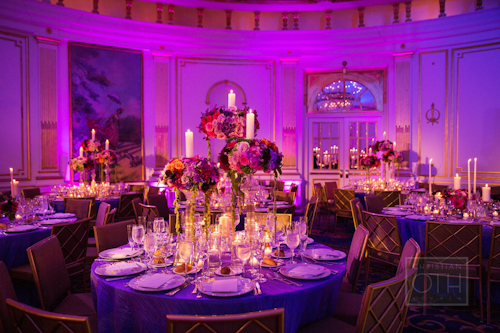 As you entered the Villard Ballroom, the first thing you saw was two long mirrored tables, covered with tall tapered candles in crystal candelabras and clear vases overflowing with blooms. 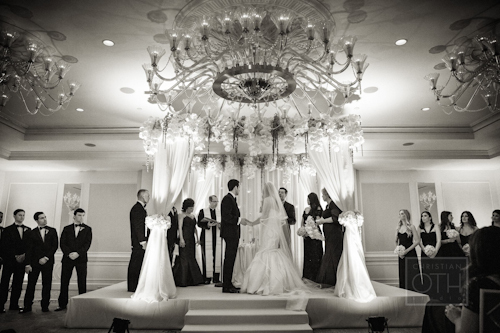 It created a really dramatic entrance. 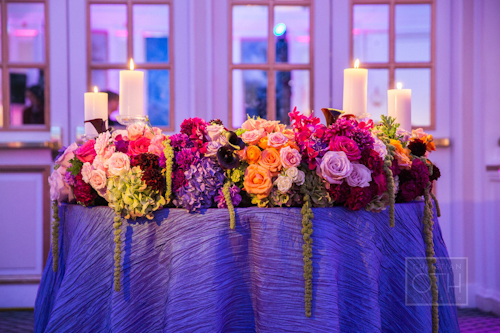 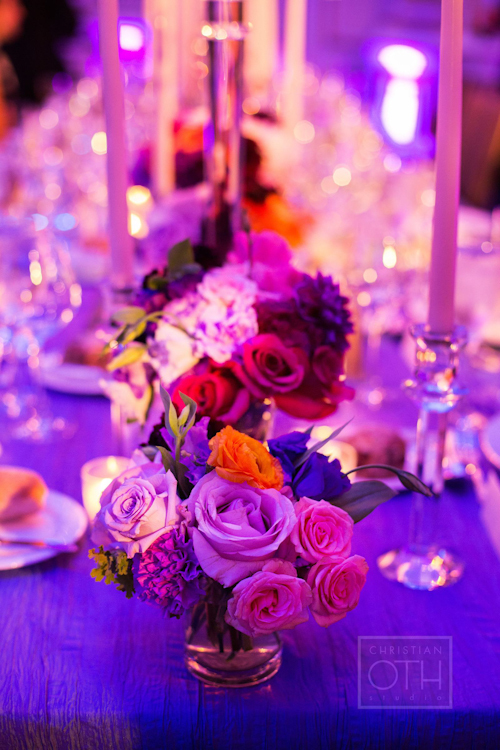 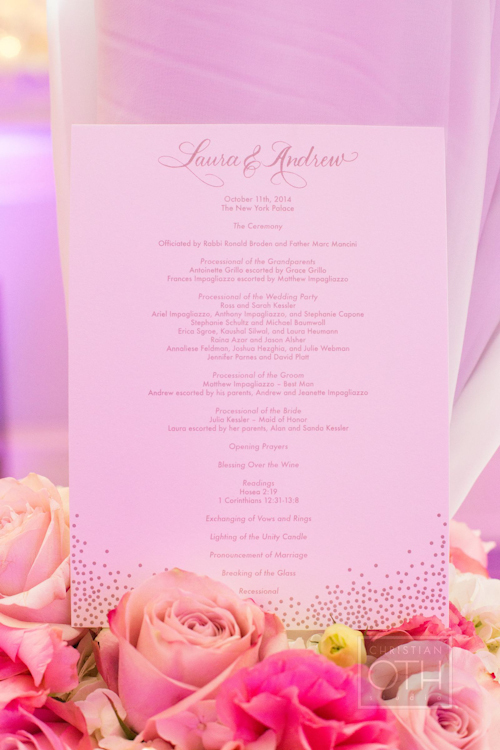 Laura wanted flowers in pastel colours accented with bright pops of hot pink, deep plum and peach, which Tantawan Bloom did with brilliant skill. 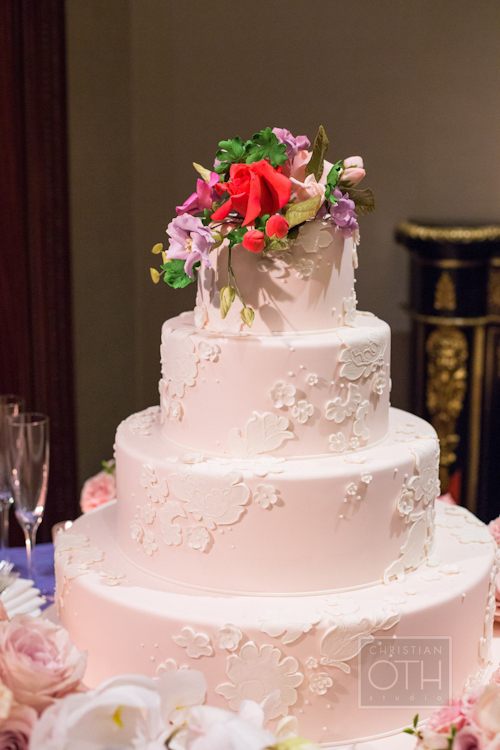 Ron Ben-Israel Cakes designed a delicate lace covered cake with a floral cake topper. 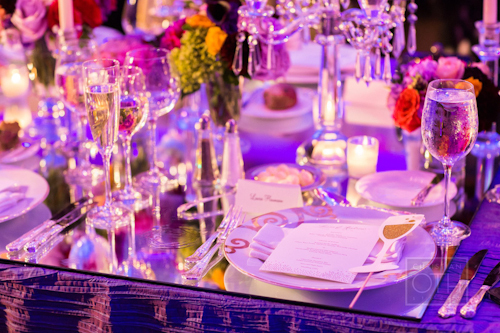 As a playful nod, the cake was vanilla with baked in funfetti! 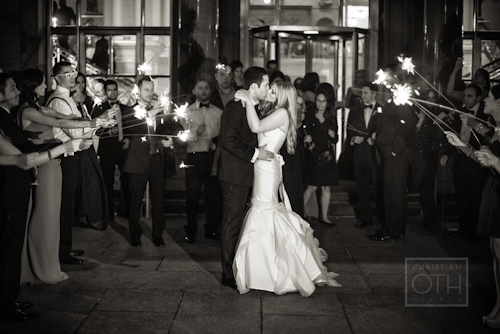 The evening ended with oversized sparklers outside in the courtyard. 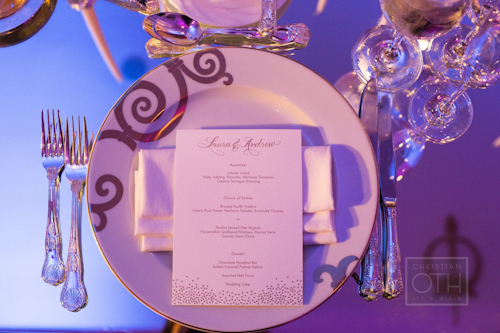 A sweet note to a fun filled celebration.